Forum Home > 7Axx General Discussion Area > Am I finally losing the mental battle ? What's your favourite 7A28 model ? As most of you know, I only collect 7A38's and derivatives. I restrict my collecting by resolutely sticking almost soley to one 7A caliber. 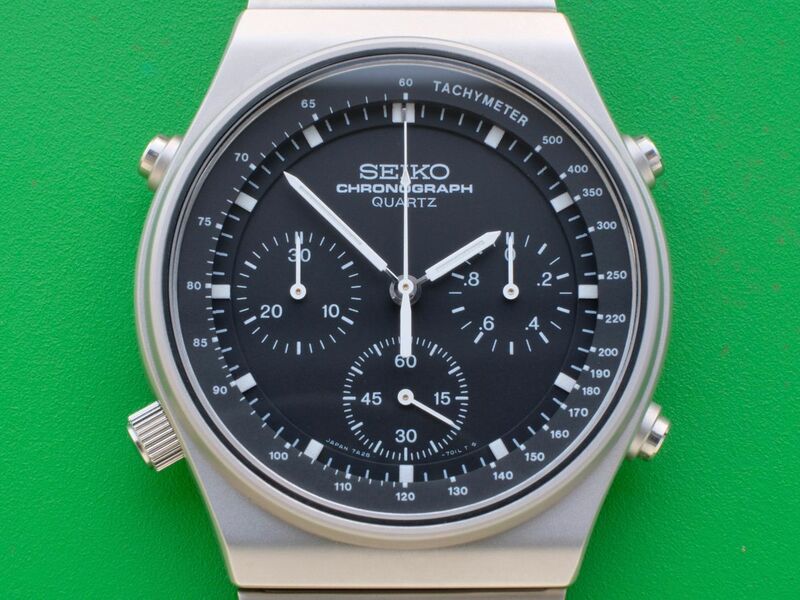 But there are a couple of 7A28 models that I really do like - even though they don't have that all important (to me) Day / Date window. 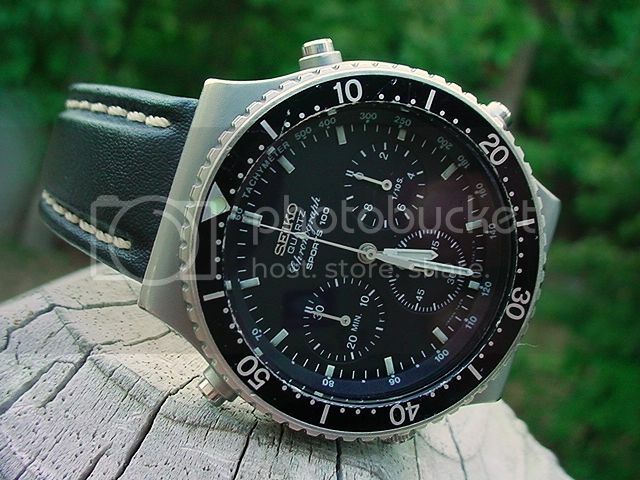 One of them is the 7A28-701A JDM Speedmaster SSAY018. 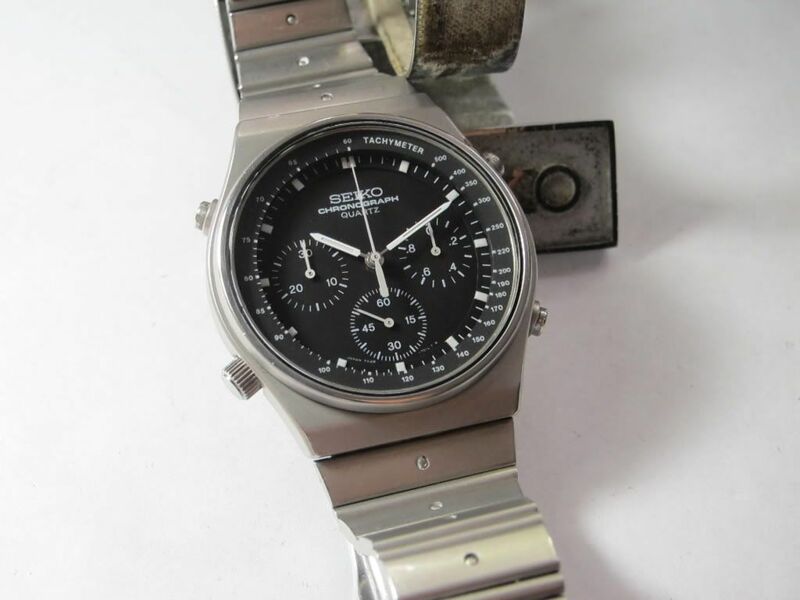 I was watching this one as the auction ended earlier tonight, and saw it sell for what I thought was a pretty reasonable $202.50. Now I'm asking myself why I just sat there and passed on it. Cos you're bank balance would shrink twice as fast if you'd have bought it? 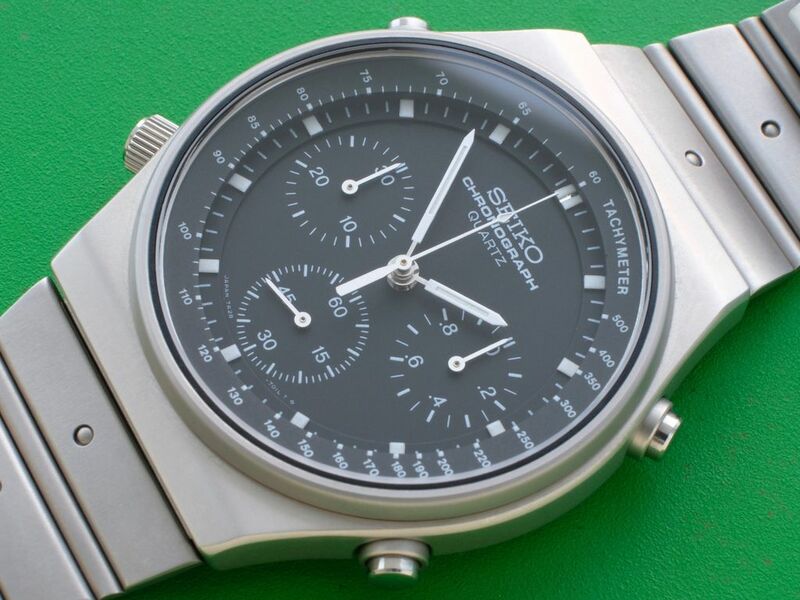 But much richer in... er... Seikos. That mainly sit in a cupboard, cos I only wear one, and it's not even a 7a38. 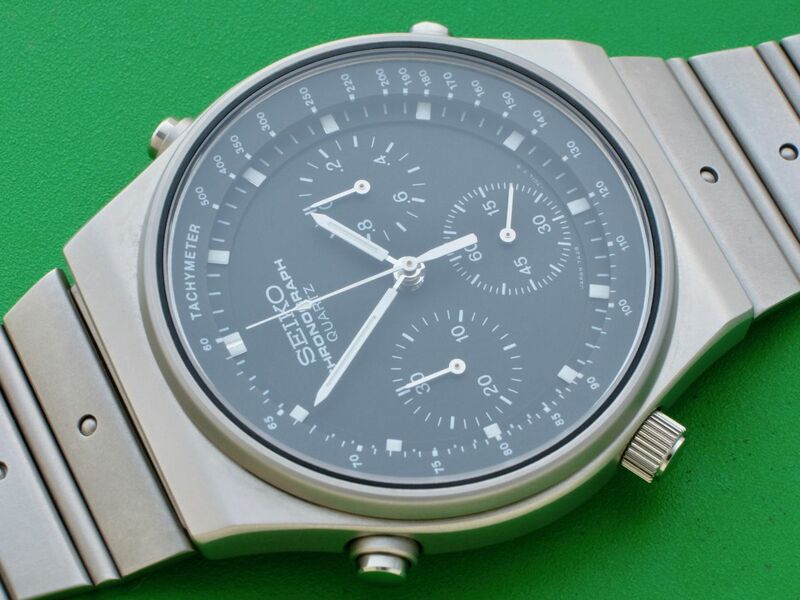 In answer to your question: I have two favourites ( at the moment) 7A28-7049 maybe because it looks a bit like a diver with the bezel. And don't we all love divers? 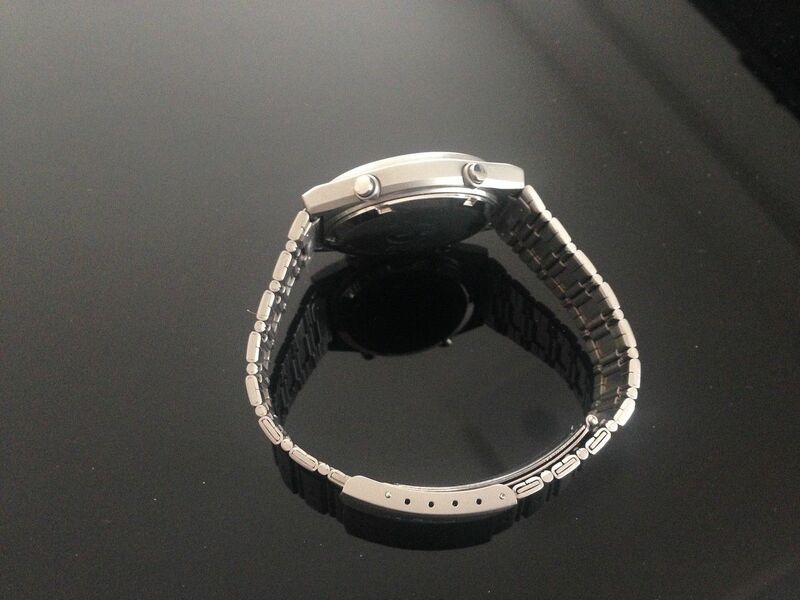 Because of my photographic skills the bezel insert looks like cr*p, but in reality it's good. 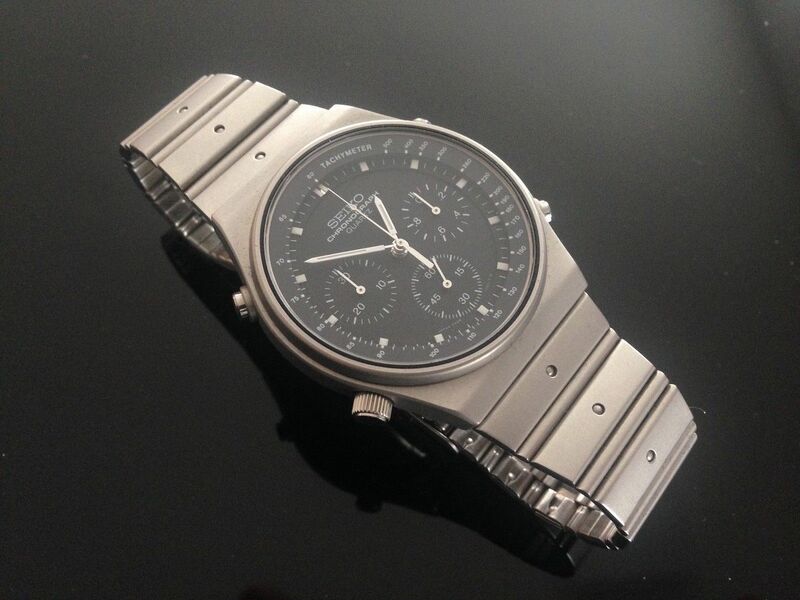 I think my absolute favourite is the titanium 7A28-7080. 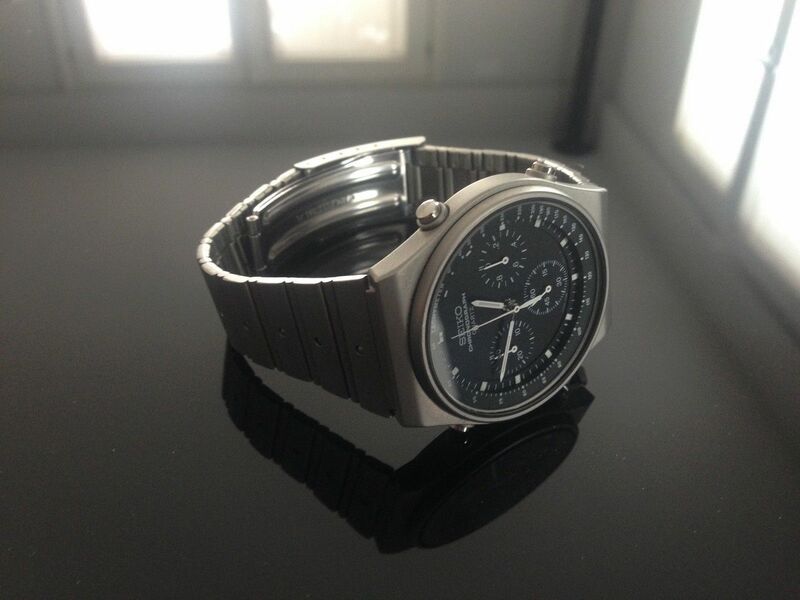 The titanium 7A28-7080 indeed is a very nice model. 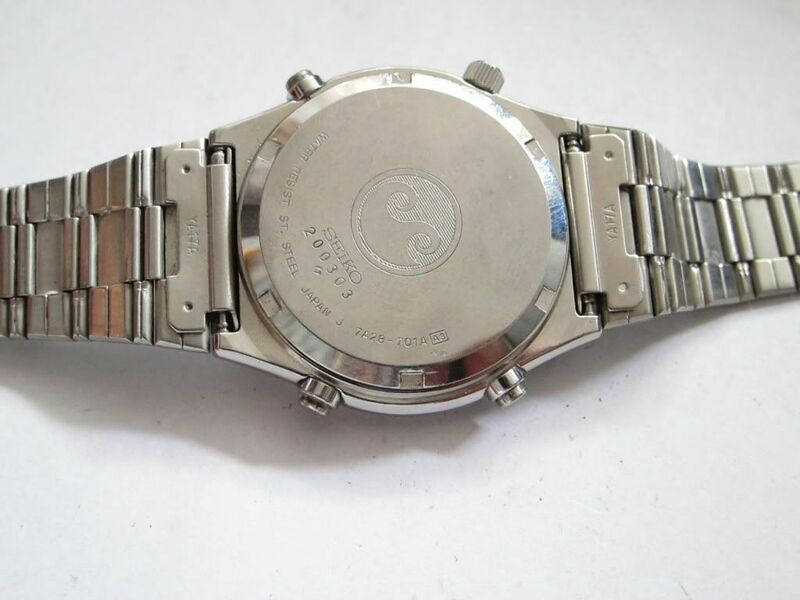 But my favourite is the 7A28-701A. 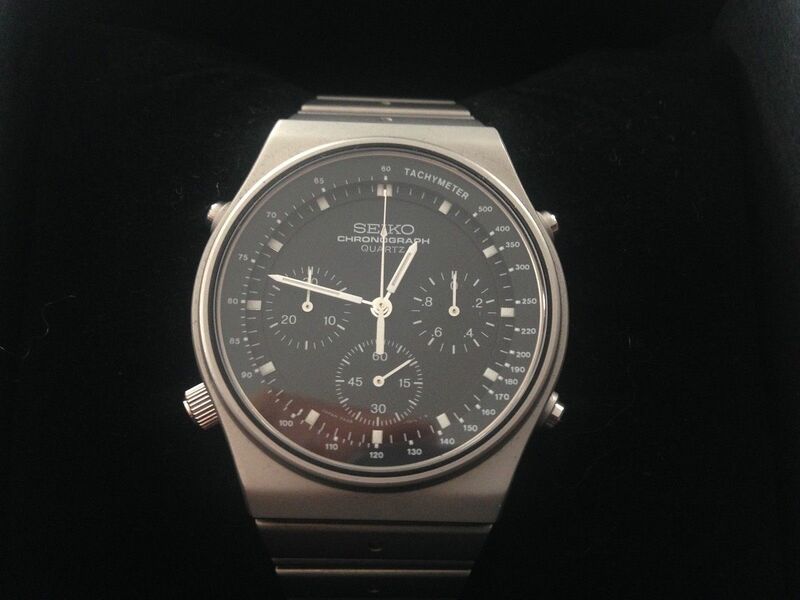 I just love the tachymeter scale right under the glass. 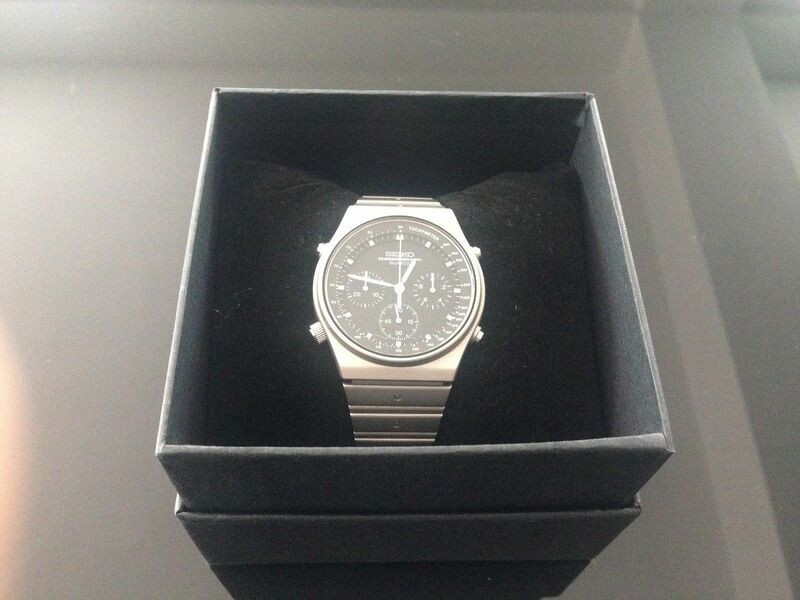 The above from the ebay auction is a nice example. Did you notice the serial number? 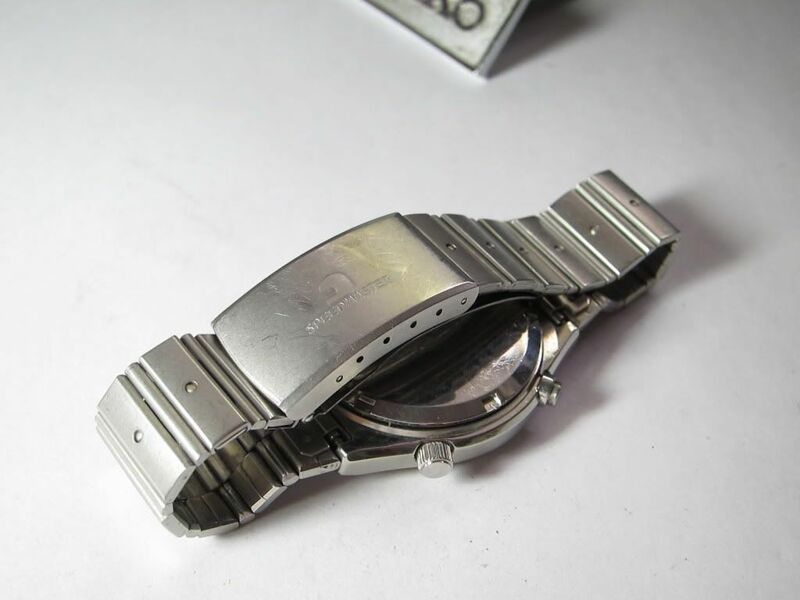 2O0303; one of the very first made. Well I only have the one 7A28 at the moment. As we all know how things change, but it's one of my favourites. When it comes to wearing it more on dull days brighten them up. Number on back case 2D0--- is this an early one. So I give you a sunburst 7A28-7030. Hehe. I have just said it on another post: 7120. And 7040. 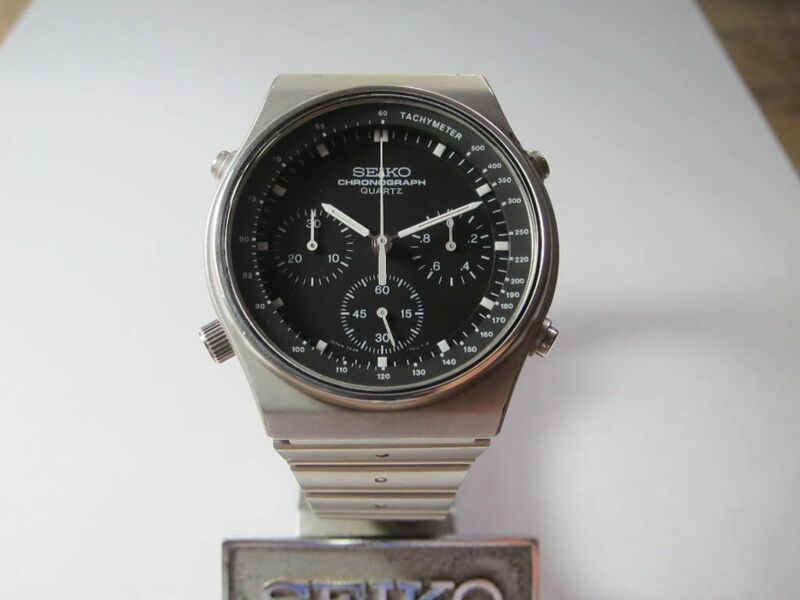 Although not quite my favourite 7A28 - I've got one of those - actually a 7A28-7040, which I bought a couple of years back, on a whim. 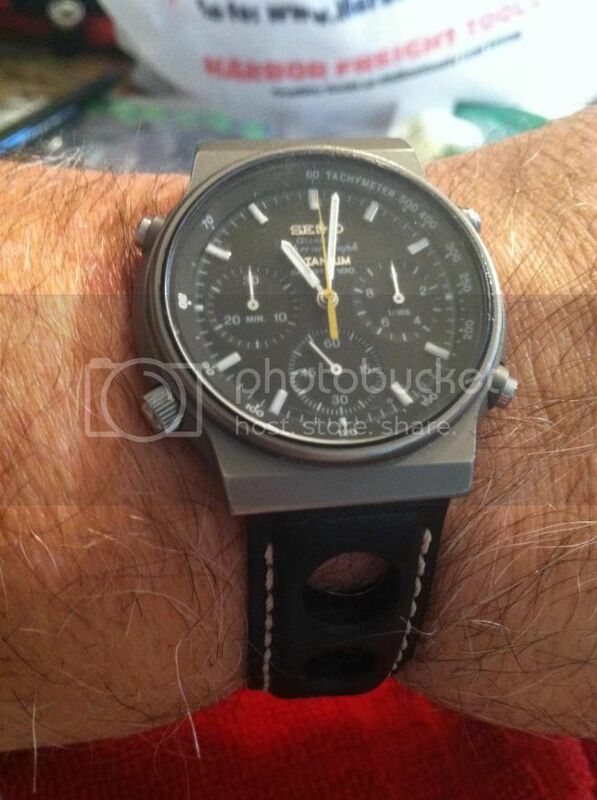 Something I was going to query was your caption: My 1981 7A28-7049. 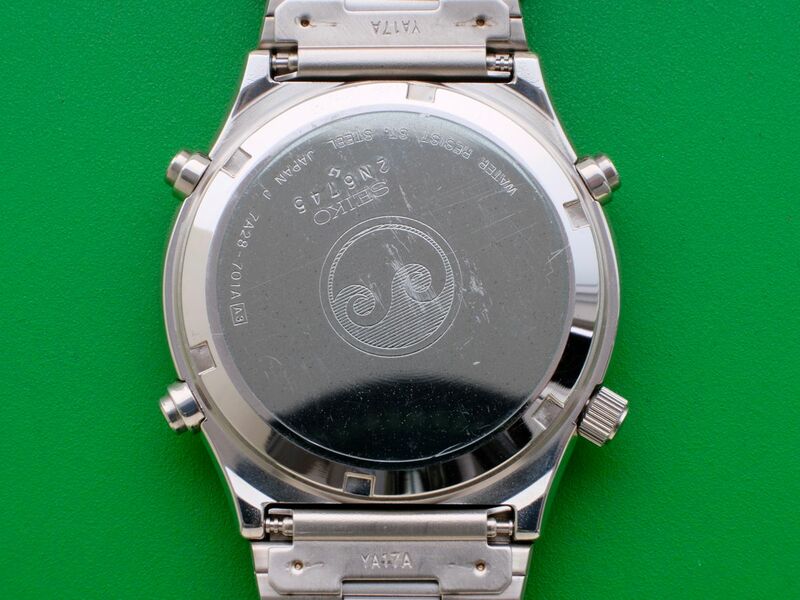 What's the serial number on the case-back please ? 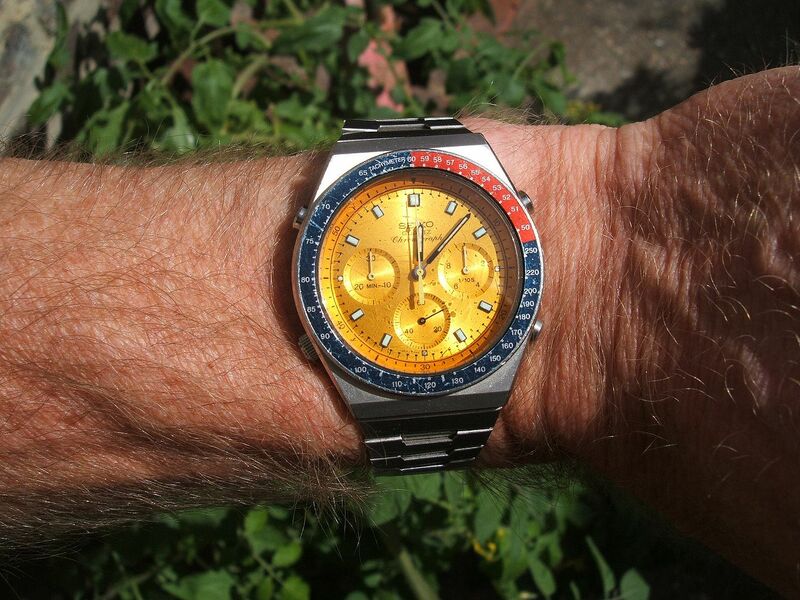 Hope you don't mind my saying, but unless you want to keep the wabi, your watch would benefit from a Yobokies repro' bezel insert. 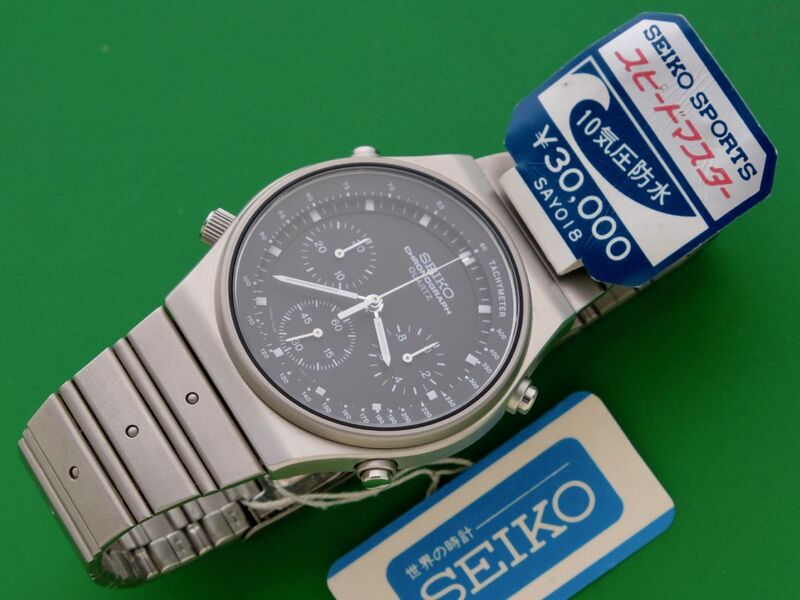 I'm new here, just joined Can someone please explain the difference between a 7A28-7040 and a -7049? I cannot tell the difference looking at the photos above. Hi, Sri. 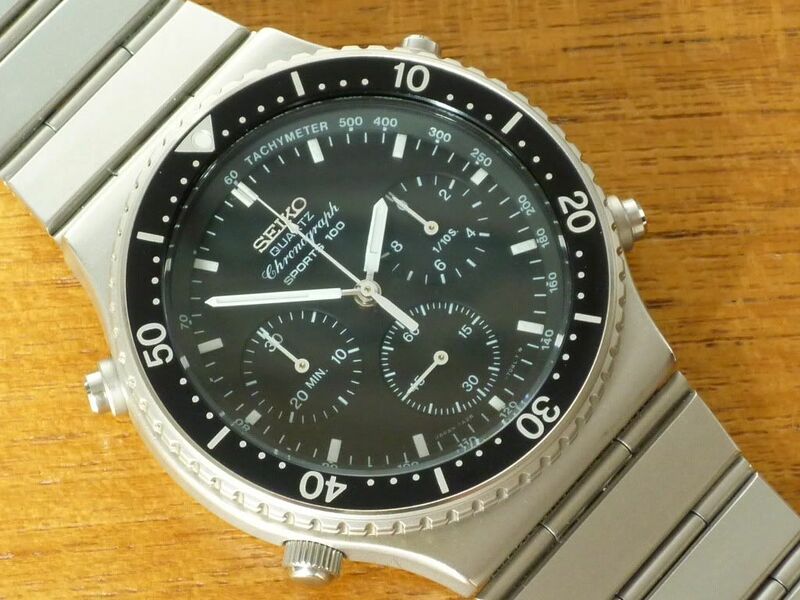 Presuming the 7A28-7049 (posted by Trandy above) was also fitted with the correct original Seiko p/n B1075S bracelet (which he'd sold in a FS advert on WUS in May 2013), you'd have difficulty distinguishing between say my 7A28-7040 and that. Incidentally, Trandy has recently listed another 7A28-7040 FS here on WUS. 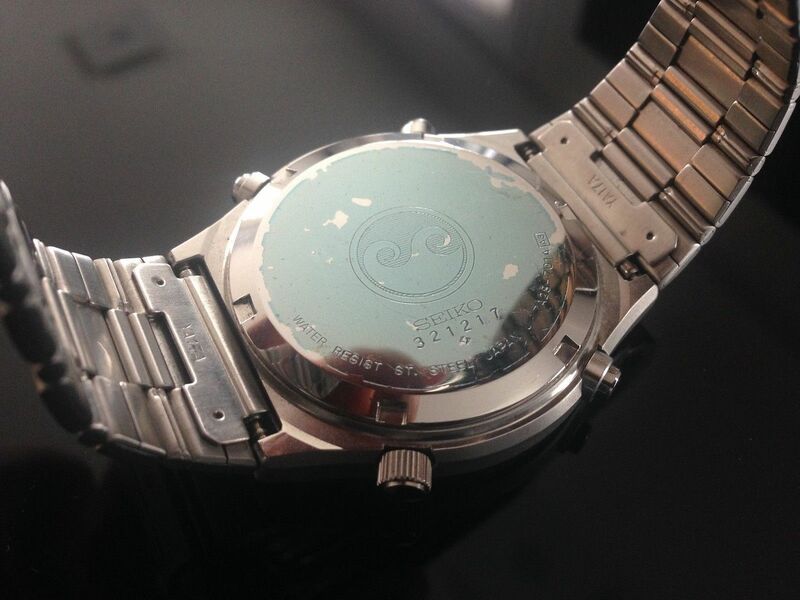 The 'Signature Model' refers to the fact that the bracelet has been engraved with the previous owner's name. Apart from their case-back stampings, I've never been able to discern any other obvious differences. 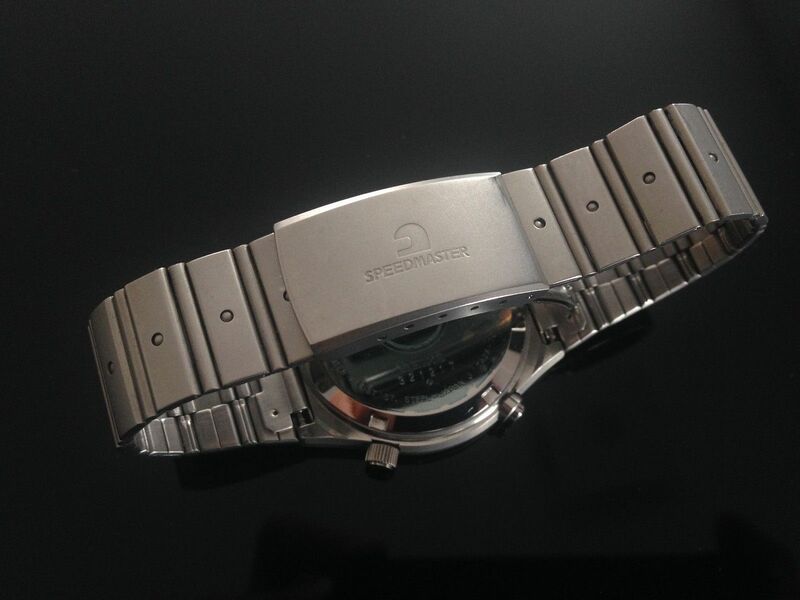 In theory, 7A28-7040 SPR013J was the European / ROW export model and 7A28-7049 SPR017J was the US export model - though as you''ve probably gathered, there appears to have been some overlap in their distribution. There is another third variant: the JDM (Japanese Domestic Market) 7A28-7040 SAY028. These have slightly different dial printing. 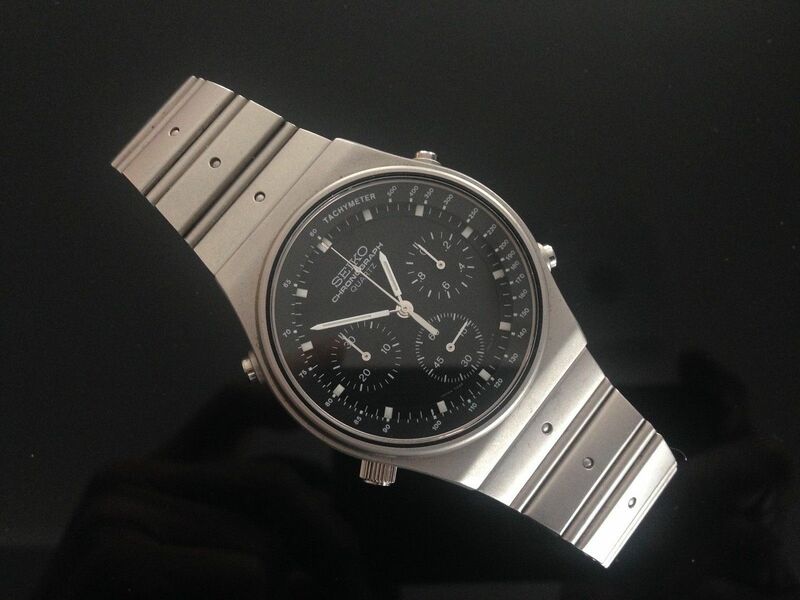 To start with, there's no SPORTS 100 and instead of Chronograph in italic type, a smaller block capital CHRONOGRAPH. 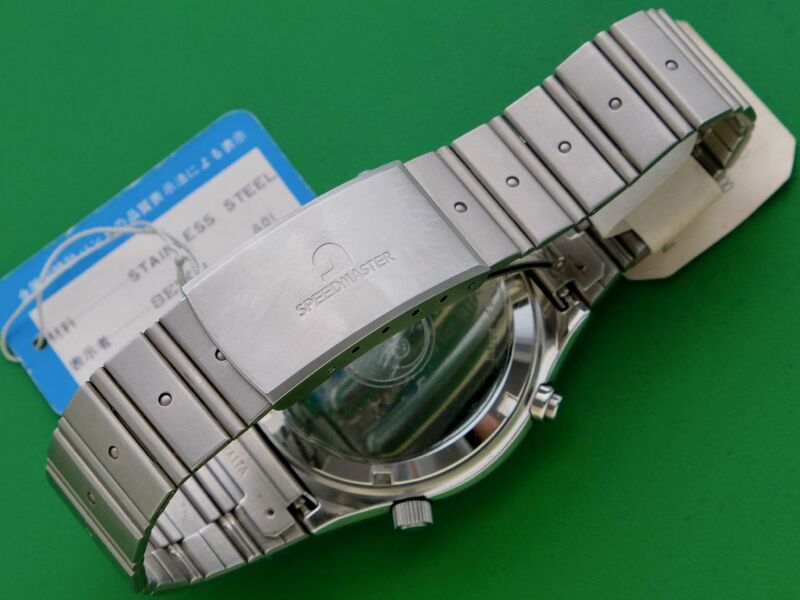 Their bracelets may look the same but that used on the SAY028 has a SPEEDMASTER logo'd clasp and is stamped with a different AA part number. Thanks Paul, that is useful to know. I was not aware of the JDM models at all. I will go read up that thread you linked to .. 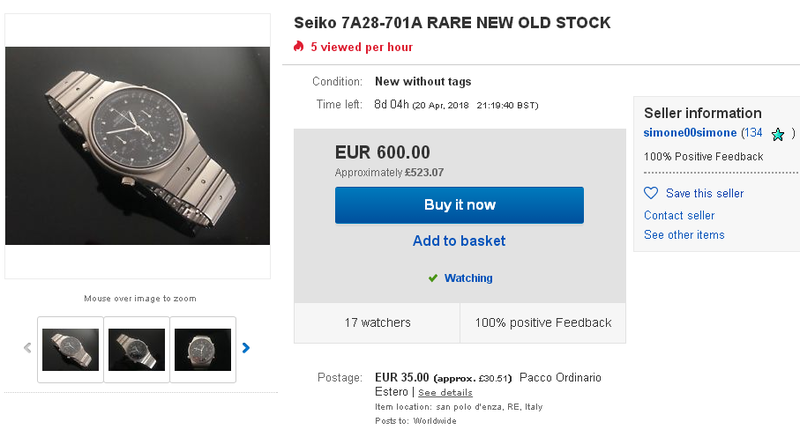 I knew of 4-5 variants of the 7Axx models, but after reading some articles here, I am floored by the actual number of watches Seiko made with these calibers!! 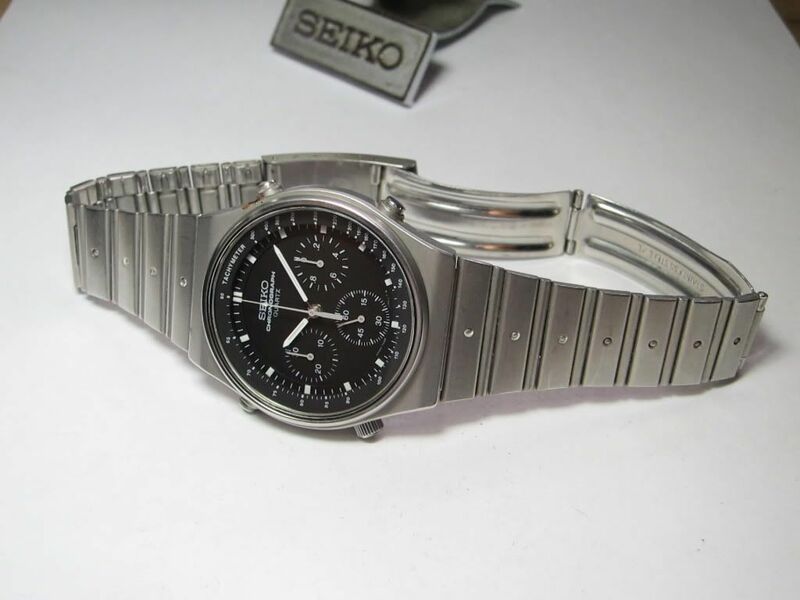 Not just Seiko who used them either, Sri. Is it typical or not?, that is the question! Hmm. Must resist. Must resist. Nearly 5½ years since my first dalliance with one of these, I've spent an inordinate amount of time pouring over these photos of a 'NOS' 7A28-701A during the last couple of days. Apart from the hefty 600 Euros asking price, I've now thankfully managed to convince myself that the rim of the case-back has been skimmed. Somebody stop me ! 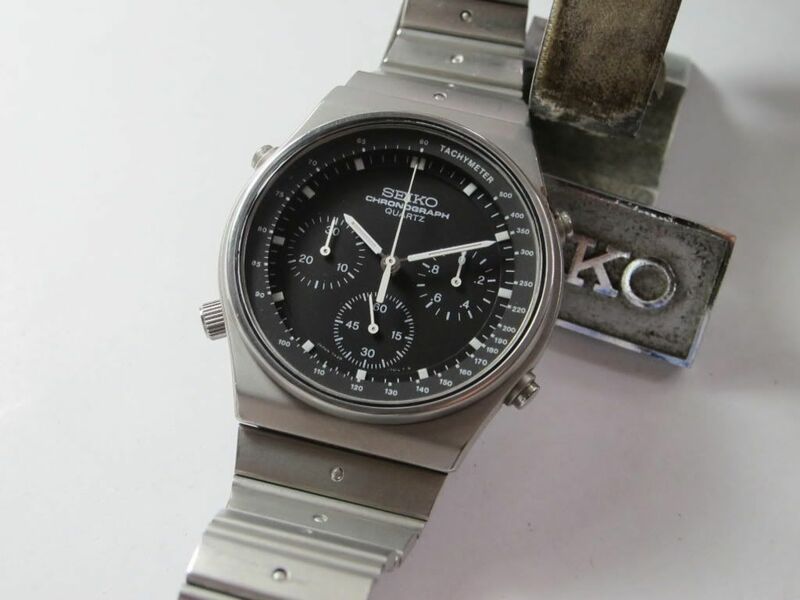 Beautiful Seiko Quartz Vintage Speedmaster 7A28-701A, NEW OLD STOCK VERY RARE, working and with new battery. 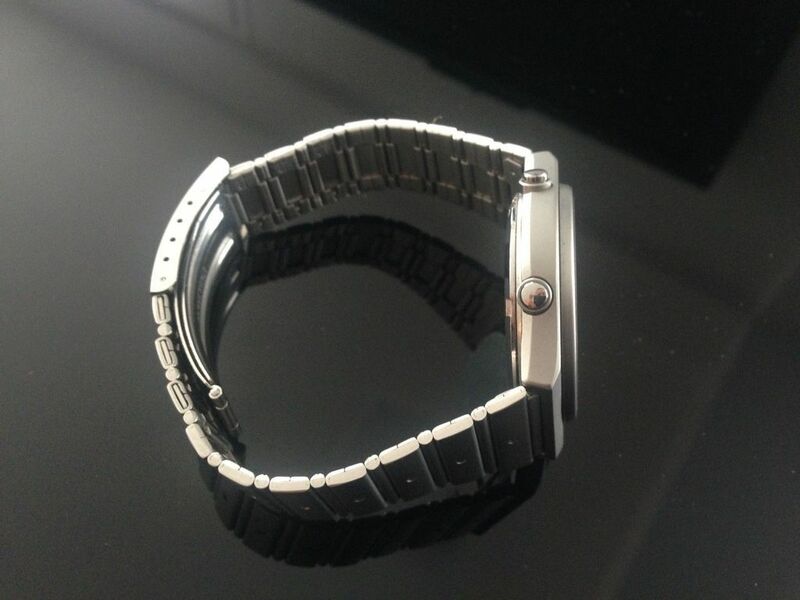 That's nice (7A28-701A) but I see that it has now sold. Relieved of €600 or just relieved? Correction. It appears it was allegedly 'Lost or Broken'. How unfortunate. Not me, Lindon. My resolve thankfully remained strong, I'm relieved to say. I still secretly hanker after one of these. 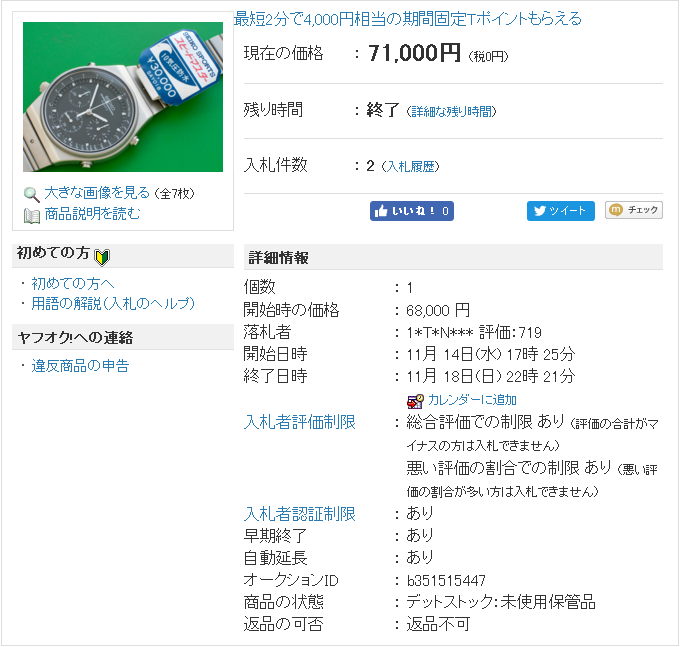 Probably the reason I deliberately don't run searches on '7A28' on Yahoo Japan on a regular basis. So it's never really a good idea to run a 'closed' search on Yahoo Japan, to see what you might have missed, as I did this morning. 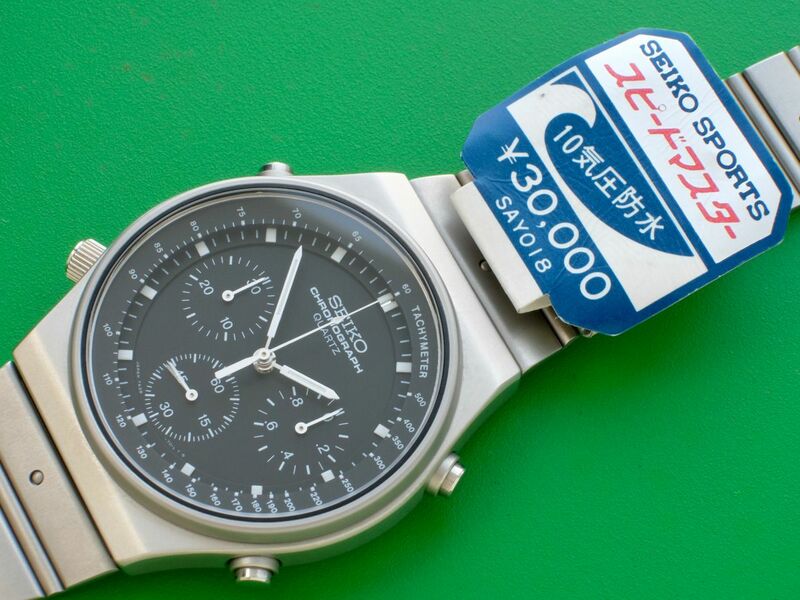 This absolutely pristine NOS with tags 7A28-701A SSAY018 sold at the weekend, for ¥71,000 Yen - equivalent to approx. $629 USD / £491 GBP. 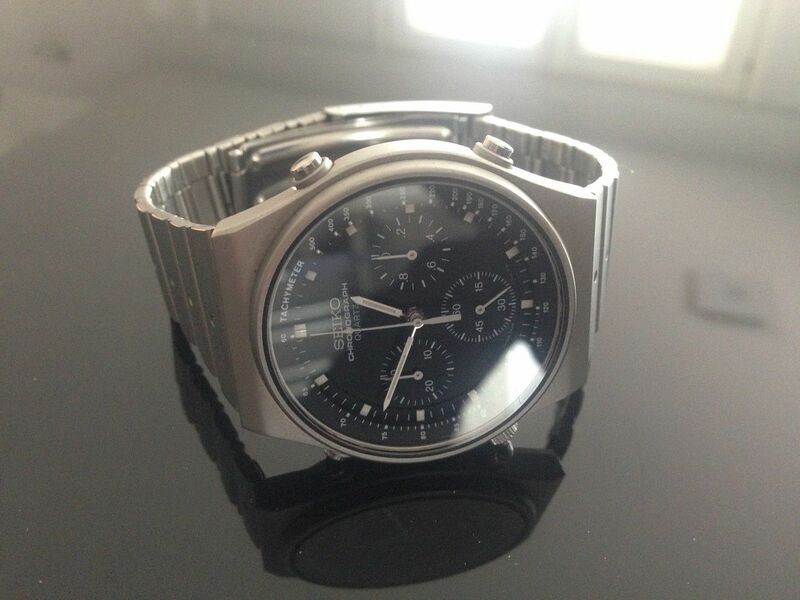 Probably just as well I didn't see the listing while it was live, otherwise I might have finally succumbed.